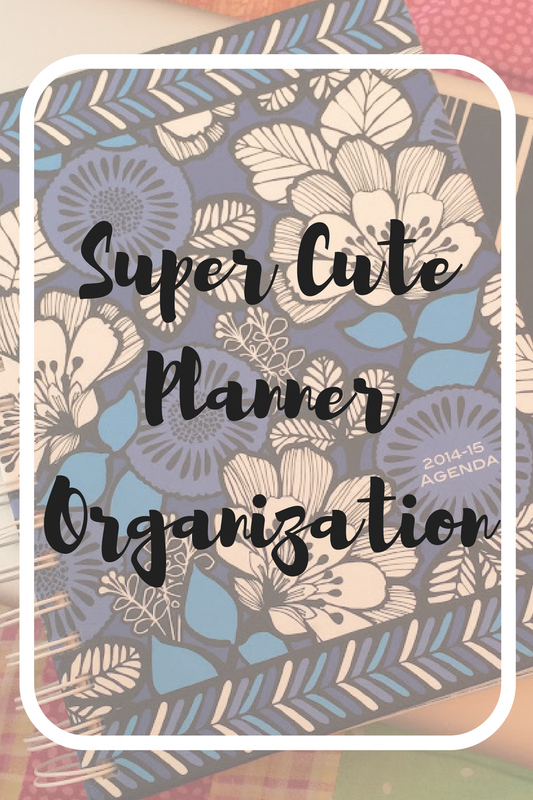 My really cool blogging friends Cathleen and Nicole are hosting a Bloggers Back to School Linkup for the entire month of August and this week's theme is organization, so I thought it would be a great opportunity to share how I organize my planner. I think planner organization is super personal and everyone should have their own unique system because people think in different ways and you really want to use what's going to work best for you. I love seeing what other people do with their planner though, because it gives me inspiration and I can try out some new things. So hopefully, this post will just be some good inspiration and insight for you! BTW, I would love to hear about different ways you guys organize your planners so that I can try your ideas in mine! The planner I have is a Vera Bradley 2014-15 Agenda (not their student agenda) and it lasts from May 2014 - December 2015. I used it for my first year of college and I will be using it for the fall semester. [Let me know if you have any suggestions for a 2016 agenda!] I like it for school because it has plenty of space for each day - I've never used every single line for a day, even when I was super busy. It also comes with event stickers and really pretty patterns on every page, but it does not have hourly sections. From what I've read, I think it's similar to a Lilly Pulitzer agenda. Of course, I use color-coding for keeping up with my assignments like most people. I have a nice set of InkJoy pens that has several different colors and I keep them in my pencil pouch at all times so there's no excuse for not color-coding (yes, I bring both my agenda and pencil pouch basically everywhere). There are a lot of different methods that you can use but I like having a different color for each class. Using a different color to mark tests, homework, and projects is probably a good idea but my brain just prefers seeing my assignments split up by class. You can put a little key for this somewhere in your planner, but I memorize mine fairly easily. Obviously you put specific events like tests and review sessions on the day that they're going to occur, but it gets confusing when you're trying to figure out how to plan assignments. I always write my due dates down. It's more beneficial for me to know the day something is due than the day it was assigned. If you have a due date that is weeks away, it doesn't hurt to plan out the days you're going to work on the assignment and jot that down as well. As soon as I get my syllabus, I write down every due date in my planner. I know some of the dates are probably going to change but I would rather do it all at once than get to a point where I forgot to write something down and miss it. If you get random assignments that aren't on the syllabus, write them down as soon as you find out. When you're heavily relying on your planner for doing work, you can't afford to forget anything. I like checking off my assignments once they're taken care of so it's very clear what still needs to be done. I also think it's important to remember that there's nothing too small or seemingly insignificant to write in your planner. Its purpose is to remind you of stuff and you plan your day around what's in it, so write down the things you need to get done for your blog, your hobbies, your TV shows, etc. because you're planning on doing these things and need to be aware of them when you're mentally scheduling your day. Even if you have a certain Instagram post that needs to be published, a little note in your planner will help make sure it gets done. This is one of my favorite weeks even though I was so busy! I never ever used the monthly view of any planners until this summer. I never thought it could be useful but now that I'm planning my events so far in advance, I need to be able to see my month clearly and know when I'm too busy to commit to other tasks. I'm just now getting the hang of it but I think I've found a good system that works for me. I only put super important events on the monthly view and it's usually things that would prevent me from tacking on any additional work that day. I also started placing my event stickers here because I never really liked the way they look on the weekly view (which you can see above), they look sort of pointless there. Your writing space for the monthly view is very small, which is another reason I only write important things there. I try to stay consistent with my color-coding but I'm a lot more lenient here since most of the things I'm writing don't involve classes and are mostly vacations, concerts, start and end dates of the semester, etc. My favorite thing about the monthly view is being able to use washi tape. Whenever I'm doing something that lasts multiple days (usually a trip), I use washi tape across those days to show that's when I'll be gone. Since washi tape comes in so many fun patterns, I have a blue & green one for the beach and other patterns for various occasions. This is a great way for me to know exactly what I'm doing without having to write it all out and it definitely beautifies the planner a little! I've always seen people using washi tape in their planners but I still haven't fully mastered the technique quite yet. When I start back to school, I won't be taking many vacations so I won't be using it for that very often. I put a cute little cupcake strip on my birthday, but I want to figure out some other ways to incorporate it! I hope this post was at least a little inspirational and motivates you to get organized before we start back to school and stay organized throughout the semester! I genuinely don't know how people live without a planner because I have basically no short term memory, so I would probably forget about every single assignment and test. I'm sure some people think decorating your planner and spending a lot of time on it is dumb, but I think I deserve to look at something special everyday. This is probably the thing I'm looking at most often (besides my phone) so I'm willing to put the time into making it look nice. I don't care about my class notebooks because I only use them for a set amount of time, but a planner is something you use everyday for like a year and half so don't feel bad about making it look great! Please feel free to share your planner tips and tricks because I'm always looking for ways to improve! 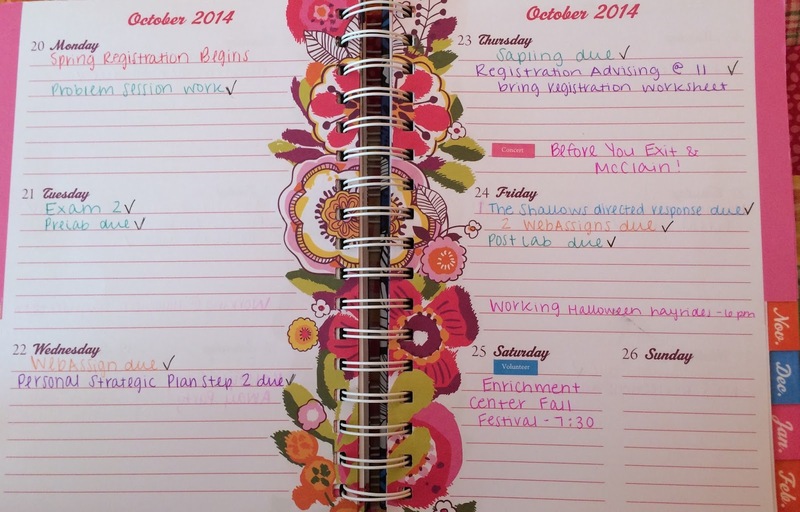 My planner is such a big part of my life that I want to spend time and effort making it as beneficial as it can be.